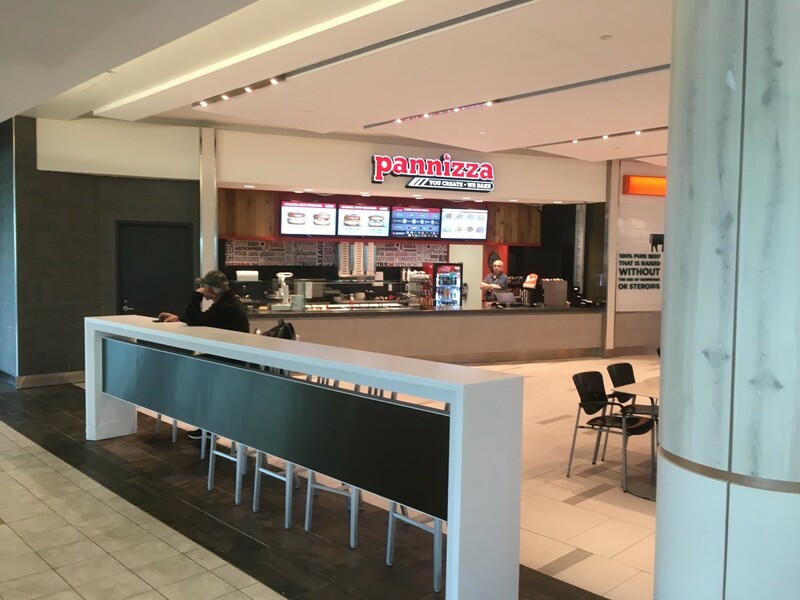 Pannizza - Grey Cardinal Management Inc.
Grey Cardinal provided Project Management services for the Halifax International Airport Authority during the design, construction, and commissioning of a Pannizza Restaurant. This restaurant is located pre-security and offers fresh, made to order pizza and paninis in 2 minutes. The 650 square foot fit-up featured a front of house food preparation area with a high-speed oven, condiment storage built-in to counters, and an area to serve customers. The back of house contains an office space, as well as food preparation and storage. The design combines Pannizza branding elements such as an engineered wood slat wall and ceramic stone tile backsplash while meshing with airport’s food court design standard.